As mentioned in the intro blurb, Chris has revised his Australia / NZ plans and will be doing meetups. Check out the current plans and get in touch if you’d like to meet up! There is a large hearing aid industry in Copenhagen, based around acoustic companies in the area, as well as the Denmark Technical University (DTU), where there is a focus on IC design. Jørgen’s early job was at Ericsson. He left those to join a startup called Silicide with a former co-worker. Bluetooth spec was out, but the company only worked on the first 15 pages in their silicon (with external control). The Die photo of the esp32 shows that 10% of the IC is the analog components. The higher voltage process is often a BCD process. They are currently on 180nm, which suits their needs fine (especially because it’s a well understood process node). After the startup, he joined Oticon A/S. They had 10 analog IC designers! It is overall an insular industry, because of the specific skills required and because of the patent pool that exists. Testing chips needs to happen in less than 4 seconds, including all the analog tests. 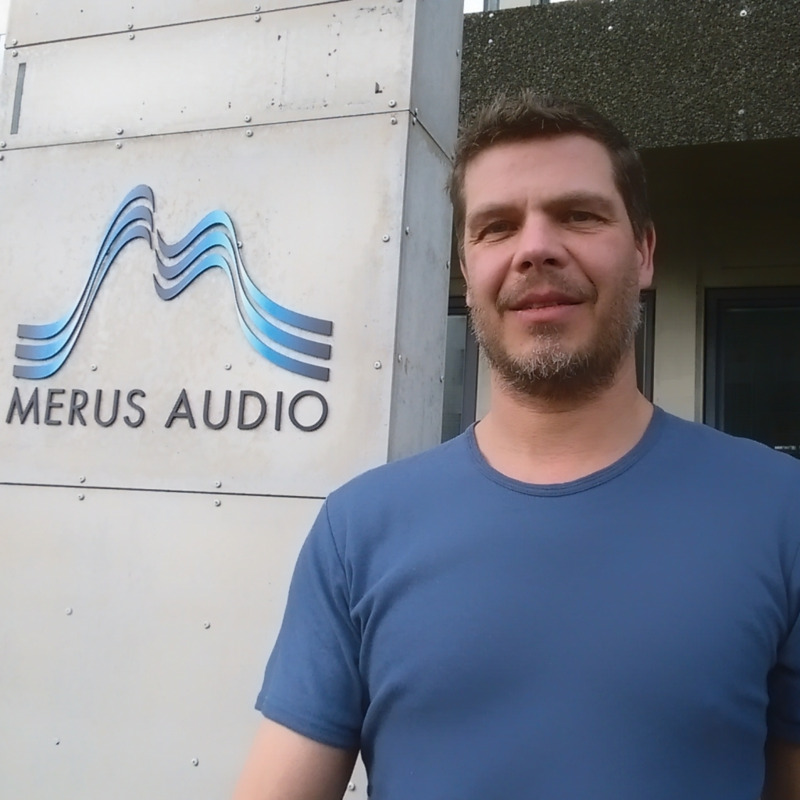 Jørgen’s latest enterprise is designing IC amplifiers at Merus Audio. These are all Class D amplifiers. Maintaining at the halfway point between the 12V and GND, there are switching losses. They even patented how to turn on transistors in a new way! They do 5 level modulation now (paper about it on IEEE), instead of 3. Check out the datasheet for the ML12070, which does this. There are “listening” and “party” levels for sound. The rise of amazon echo and similar voice connected devices will eventually want to switch to battery power. When the DACs/Amps are driving either side of the speaker, it’s called a bridge tied load. The communication method with the chip is i2s. The power output on these chips maxes out at 2×70, which is based around the crest factor. Apparently K Pop is the most dynamic/loud music for testing audio chips. Jørgen recommends hanging out on hackaday.io for finding people to discuss new ideas and code. Check out more about the new chips coming from Merus Audio on their website. Just wanted to say hi, and that I really enjoy your show!